After four days of demonstrating a bright future made possible by technology, CES 2019 came to a conclusion with more than 4,500 exhibitors having showcased the latest technological innovations to more than 180,000 attendees, visiting Las Vegas from all over the world. From long established global brands to visionary start-ups, the event covered more than 2.9 million net square feet of exhibition space at various venues around the Nevada ‘Entertainment City’ venue. 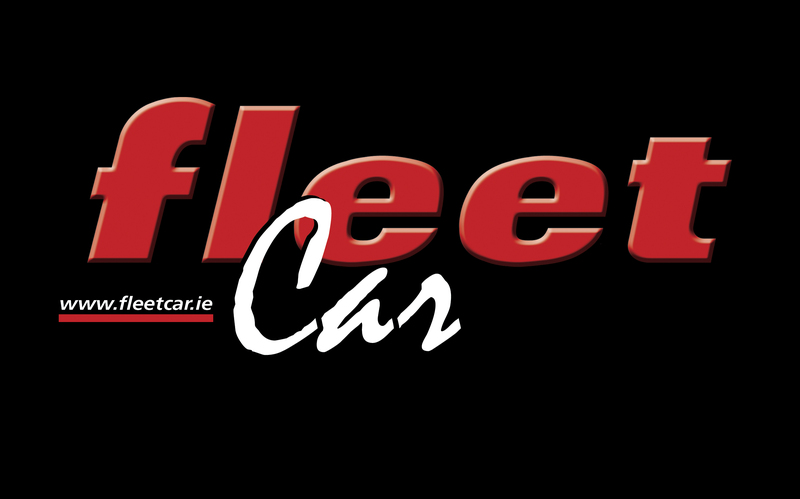 Jarlath Sweeney was there for Fleet Car. 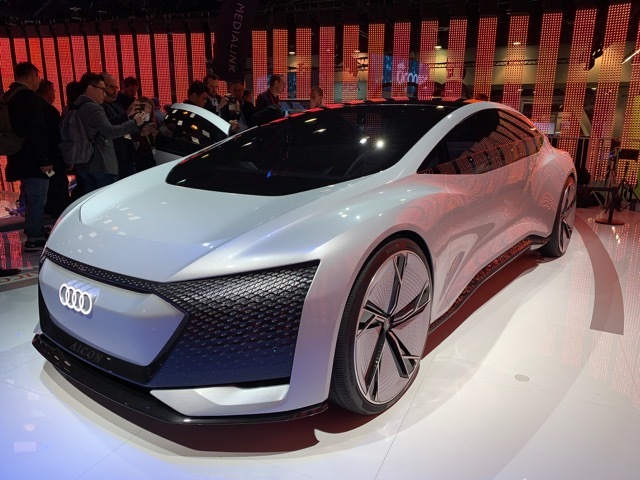 In recent years the Consumer Electronics Show has become a platform for the automotive industry, with more and more car manufacturers becoming involved highlighting the future of transportation. 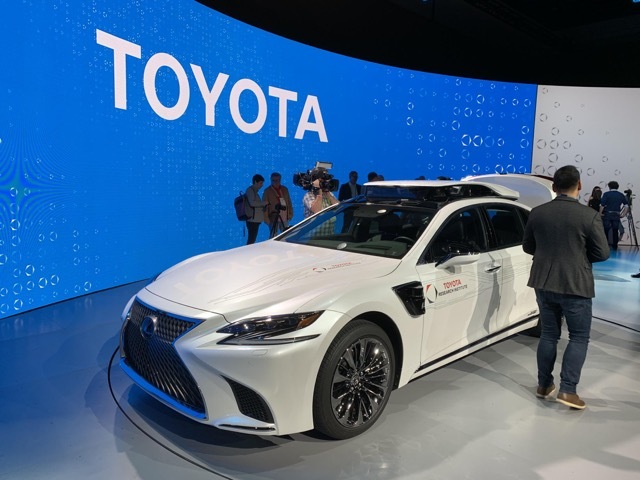 Eleven brands were present at CES 2019, promoting self-driving technology which can save lives, enable greater accessibility and improve efficiency and productivity. 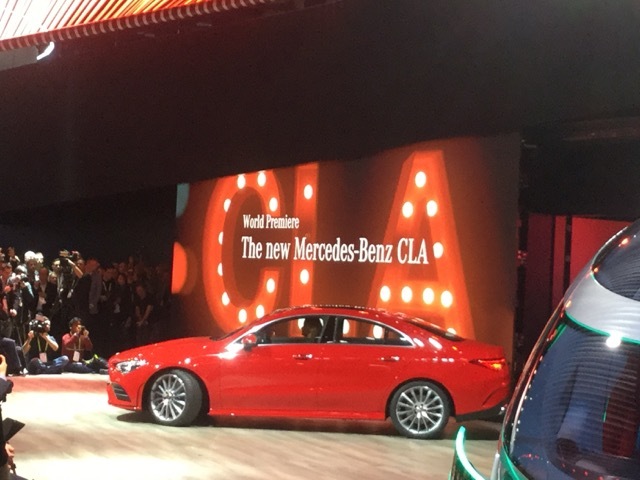 There’s a greater vehicle technology presence at CES these days than at many stand-alone motor shows and this has been recognised by USA Today which has rated CES as one of the 10 best Auto Shows. 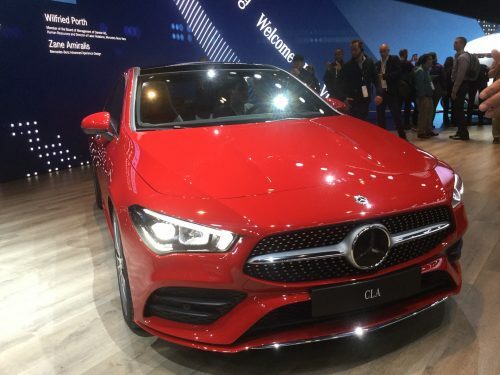 CES 2019 featured more than 160 vehicle tech exhibitors, with some among the event’s Innovation Award, winners, namely the BMW with its Parking Place Assist and Daimler (Mercedes-Benz) with its MBUX – ‘Hey Mercedes’ Voice Assist. Here’s a snap-shot of what was on display from the automotive brands. Broadcasting live on Audi Media TV, Facebook and YouTube, Audi demonstrated its latest in-car entertainment systems. The fully electric and fully connected 2+2 seater Audi Aircon was the centre of attention, with the Audi Experience Ride turning the car into an Amusement Park, with virtual reality glasses provided to watch movies or play video games while on board. 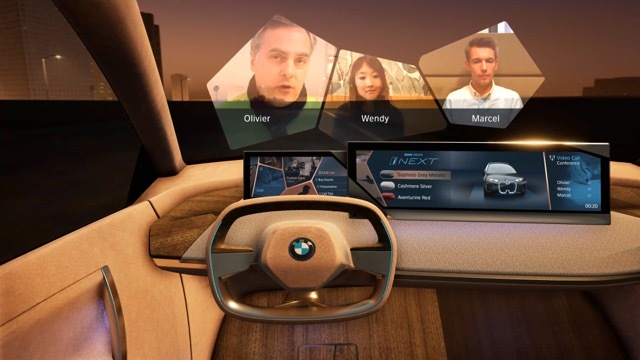 Vision iNEXT is the BMW Group’s vision of intelligent connectivity, highlighting the potential for future individual mobility. It’s all about driving pleasure – interacting the driver, their vehicle and their digital world. Passengers too! Autonomous driving, connectivity, electrification and services, all coming together to provide a place of relaxation, interaction and entertainment – a living space on wheels. Visitors were able to get a good luck at the Chrysler Pacifica hybrid minivan which features an advanced self-driving system from Waymo that has undertaken millions of miles of on-road testing. 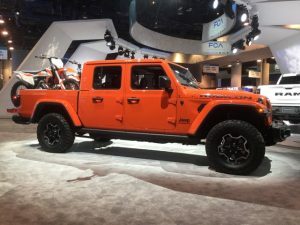 A plug-in hybrid version of the Pacifica was also exhibited and all eyes were on the new Jeep Wrangler Gladiator Pick-up. Coming exclusively with a four-door cab, it is fitted with a 3.6 litre 285 hp V6. The blue-oval brand had cars placed at different entrances to the Las Vegas Convention Centre and inside its halls. 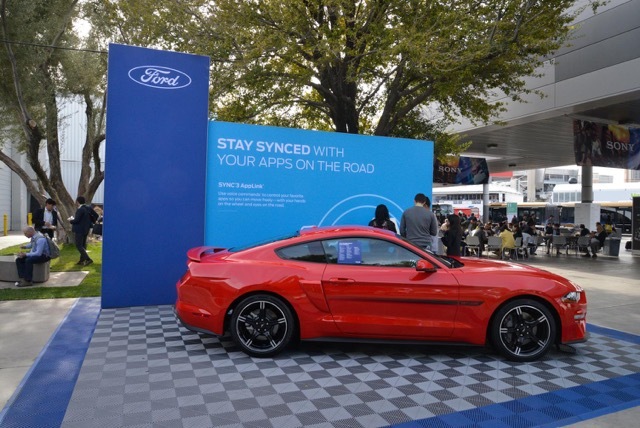 While the special version Mustang and Rangers’ drew attention, the headline news was of a linkup with Walmart and Postmates for Self Driving Goods Delivery. Through this collaboration these parties will explore how self-driving vehicles can deliver everyday goods such as groceries, pet food and personal care items using a Ford Transit Connect. Not what one would expect on a car stand – an autonomous all terrain work vehicle! 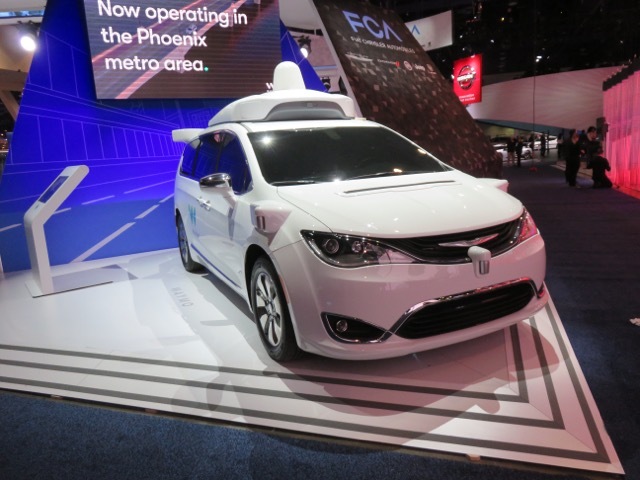 In fact Honda showcased an array of mobility, robotics, energy management and connected concepts in the North Hall. 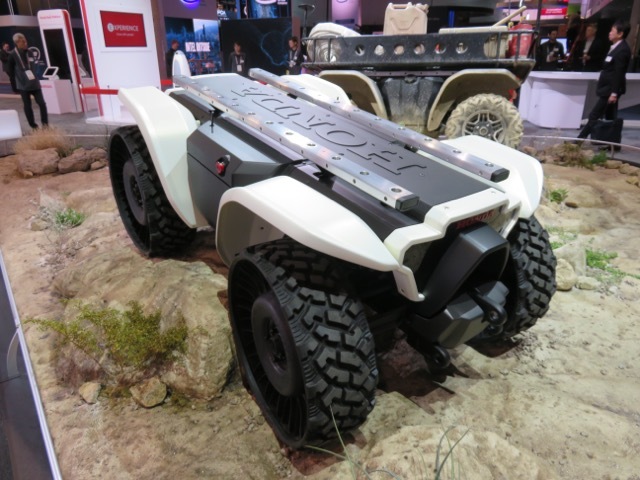 The Autonomous Work Vehicle is based on Honda’s proven ATV chassis and features GPS and sensor-based autonomy capable of guiding the unit in almost any environment. Advances on its Dream Driver in-car info services were also promoted. 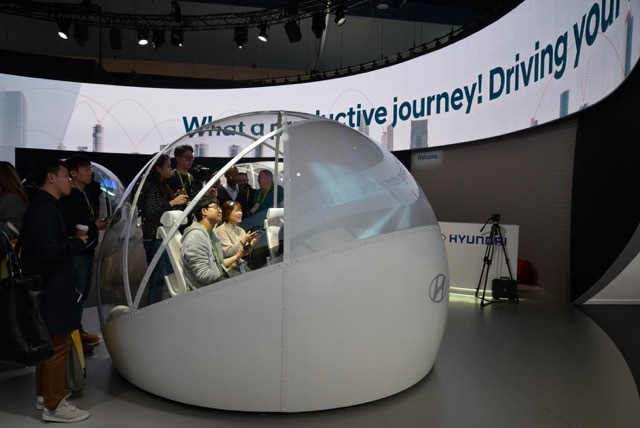 Hyundai Motor Group, in association with Swiss tech start-up WayRAY AG, revealed the world’s first Augmented Reality Navigator System via the Hyundai Cradle hub. The biggest advantage of the holographic AR Navigation System built into the vehicle is that the stereoscopic image is displayed on the actual road and approximately adjusted in accordance with the specific viewing angle of the driver, thereby delivering accurate driving guidance. 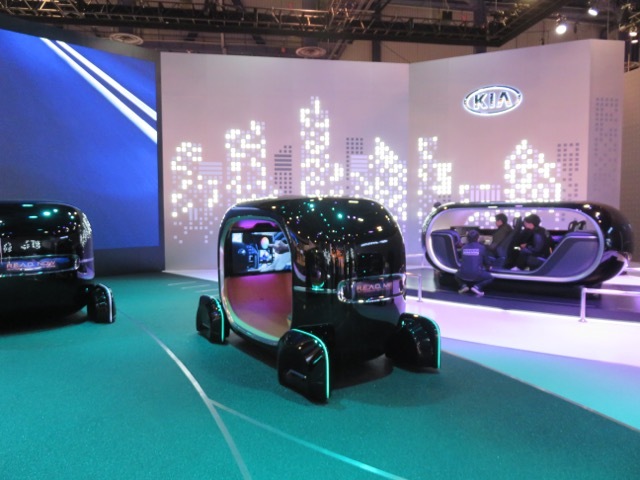 Under the ‘Boundless for All’ future mobility vision, KIA presented autonomous, connected and eco/electric technologies. 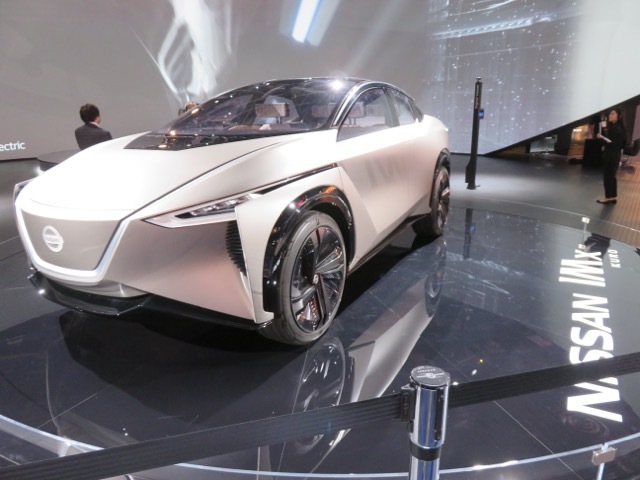 The Korean brand announced that it will offer a full range of connected cars by 2030, while by 2025 16 different types of electric vehicles will be produced. In addition, KIA will rollout its WiBLE car sharing service, launched in Seoul in 2017, with Europe part of the picture shortly. 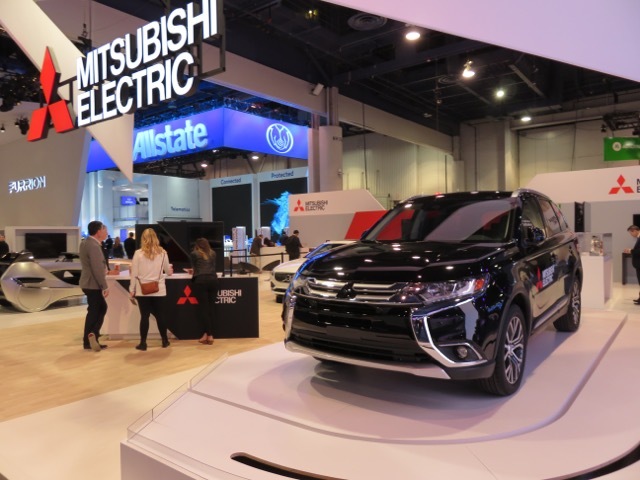 The Mitsubishi Electric stand arrangement was based around the theme “Realise your mobility ambition.” It exhibited what was described as ‘cutting edge automotive technologies and products including the EMR-A14 driving assistance concept car with advanced human-machine interface (HMI). 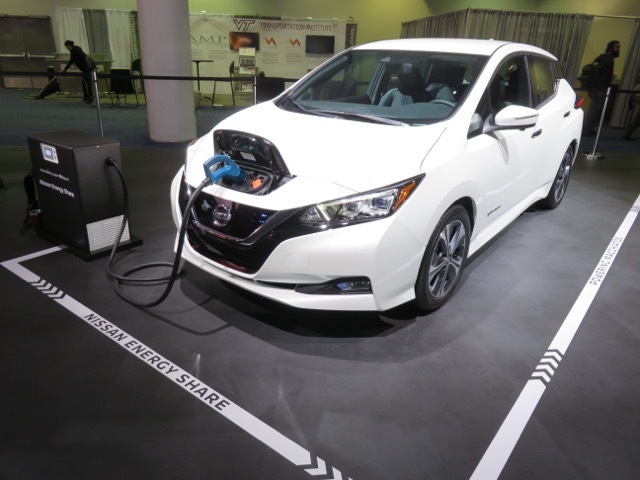 The promise of additional range distance in the Nissan Leaf has materialised with the arrival of the new Leaf e+ equipped with a new 62 kWh battery pack. Bottom line, up to 450 kilometres is achievable in one straight, full charge. Apparently the increased battery storage requirement means that the 5-door hatch sits 5mm higher than the current model. Peak power is now estimated at 160 kW (215 bhp). 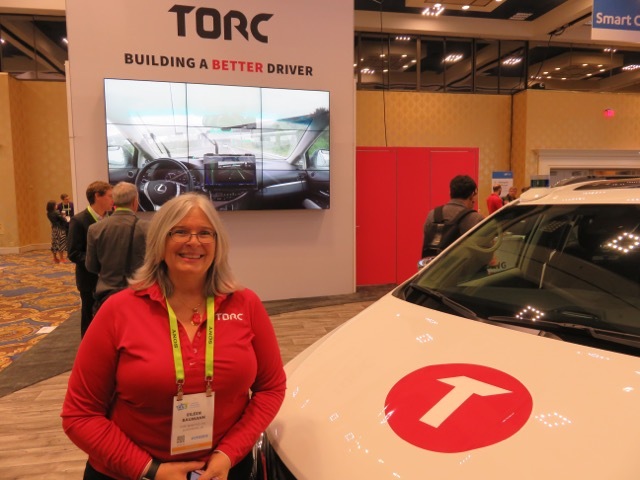 Torc Robotics provides self-driving software solutions to the automotive industry, having had years of experience developing programmes for the military and mining sectors. In 2017 Torc created Asimov, an autonomous project implemented on two Lexus RX SUVs which been operating successfully on road trials in the USA. It is currently working on public transport projects with Transdev – a global mobility provider. AUTO-US was its autonomous test vehicle on show while the EV zone demonstrated its motor, inverter and on-board charger products. Toyota is doubling-down on humans. That’s the answer to the question; What has the Toyota Research Institute (TRI) been doing in automated driving over the past 12 months?Using onboard cameras, sensors and 3D animation, TRI opened its press conference at the CES show with a vivid re-enactment of a three-car crash on a California interstate, where no one was injured. “We know what happened because we were there, in the thick of it,” said Dr. Gill Pratt, TRI CEO and Toyota Motor Corporation Fellow. “Our test vehicle was travelling at freeway speed in manual mode with its autonomy mode disabled as it gathered data at the many tunnels and bridges in the San Francisco bay area. As we downloaded data from the incident, we asked ourselves; Could this crash have been mitigated, or avoided altogether by a future Toyota Guardian automated safety system? We believe the answer is yes,” he concluded. (Toyota Guardian is known a Toyota Safety Sense in Europe). Other notable showstoppers included Karma, Byton, Rydeen and AEV Robotics.